MOUNTAIN VIEW, Calif.--(BUSINESS WIRE)--Kodiak Robotics, an autonomous-vehicle startup founded by Don Burnette, previously a co-founder of the self-driving trucking company Otto, and Paz Eshel, a former venture capitalist, today announced it has raised $40 million in Series A financing led by global investment firm Battery Ventures. CRV, Lightspeed Venture Partners and Tusk Ventures also participated in the round. As part of the financing, Battery General Partner Itzik Parnafes will join Kodiak’s board. Burnette and Eshel founded Kodiak Robotics to bring new technologies to the long-haul trucking market. Trucking is a key component of the U.S. economy: According to the American Trucking Associations (ATA), trucks move more than 70 percent of all U.S. freight and generate over $700 billion in revenue annually. While freight volume is at record levels, driven in part by the growth of e-commerce, the industry is struggling with a significant shortage of drivers. The ATA estimated an industry shortage of 51,000 drivers at the end of last year, up from a shortage of 36,000 in 2016. Burnette and Eshel founded Kodiak Robotics to alleviate the current strain on the freight market through self-driving technology. 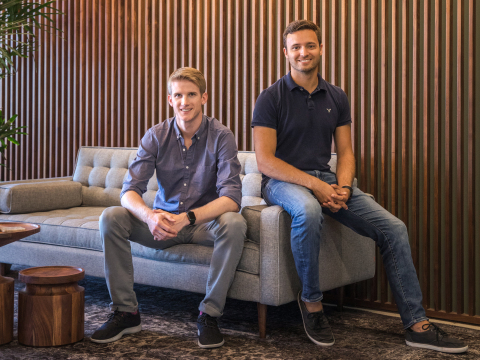 In just three months, the two have assembled a world-class team of engineers with experience in actually shipping self-driving vehicles on public roads. Burnette, Kodiak’s CEO, previously co-founded Otto, which was acquired by Uber in 2016. Earlier in his career, he was one of the early engineers on the self-driving car team at Google. Eshel most recently was a vice president at Battery Ventures, where he led the firm’s autonomous-vehicle investment project. Kodiak Robotics will use the financing to expand its team and for product development. Kodiak Robotics is a leading player in the emerging industry of autonomous-vehicle technology for long-haul trucking. The company was founded in 2018 by Don Burnette, an earlier-founder of the self-driving truck company Otto, and Paz Eshel, a former venture capitalist. The company is backed by investors including Battery Ventures, CRV, Lightspeed Ventures and Tusk Ventures, and is based in Mountain View, CA. For more information, visit: http://www.kodiak.ai/.